These are the mysteries I’ve encountered while creating this website. 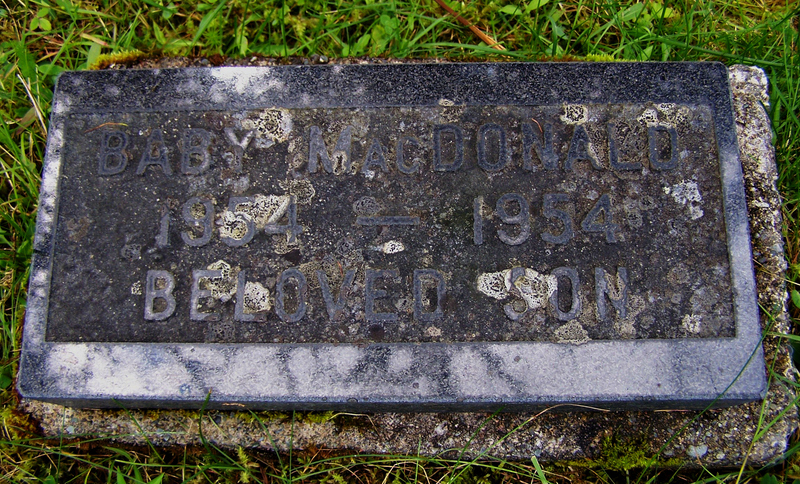 A MacDonald boy who was born and died in 1954 is buried in St. Mary’s Anglican Church Cemetery, Harrigan Cove, NS. There is no indication of who he is except for his last name. An attempt to find his death record on Nova Scotia Genealogy failed to produce results. Perhaps it was miss filed (in other words, the name was spelt incorrectly by the person entering the record into the database) or the year on the headstone is incorrect. The full identities of the individuals found on a steel cross at St. Mary’s Anglican Church Cemetery, Shiers Road, Harrigan Cove, Halifax County, NS, is not known. I attempted and failed to find out more information on these two individuals. I’m unsure if they are siblings or a married couple. Because Gaudet is a surname, I’m leaning towards the pair being a married couple. If anyone has additional information they’d like to share, please contact me (Diane: tibert@ns.sympatico.ca). It appears the cross was either used before or errors were made and the original inscriptions were ‘blunted’ out and the new names crudely added. 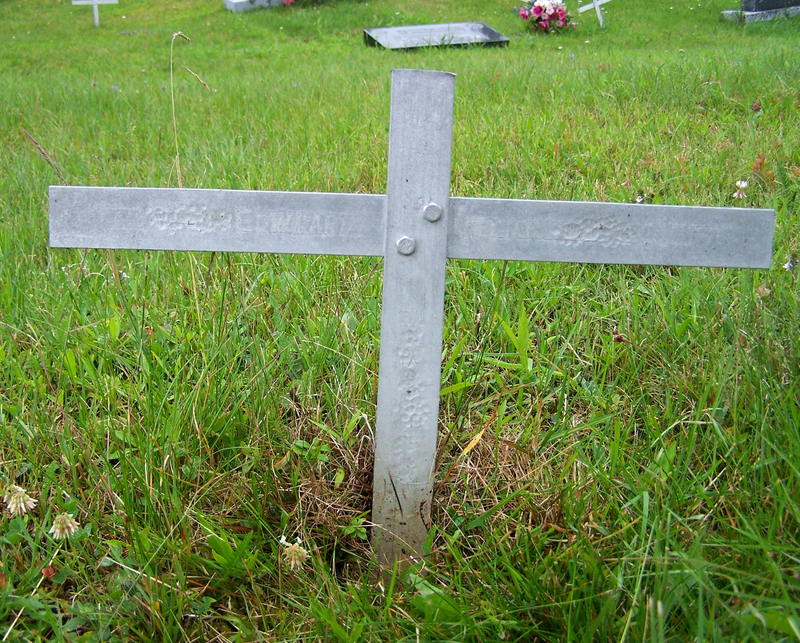 This cross sits about ten feet away from the headstone for Maude L. and Jeremiah F. MacDonald. Perhaps there is a connection there. As I continue with my work, perhaps I will find it. However, the names that have been marked out—Blanch and William—may suggest something else. Also buried in the cemetery are Ella Blanch and her husband William J. McDonald. Perhaps the cross was initially made to mark their graves, and when a proper headstone was erected, the steel cross was repurposed. Searching for vital records for Velma MacDonald uncovered nothing, but I found a birth record for Edward Stanley McDonald. Edward Stanley McDonald was born September 11, 1874 at Harrigan Cove. He was the son of Isabel Marks and James MacDonald. James was a mariner at the time, and the couple were living at Harrigan Cove. They were married in 1873 at Dartmouth, Halifax County, NS. Without more research, I won’t know if this is the Edward inscribed on the steel cross. I wrote a blog post about Captain James MacDonald and his wife here. 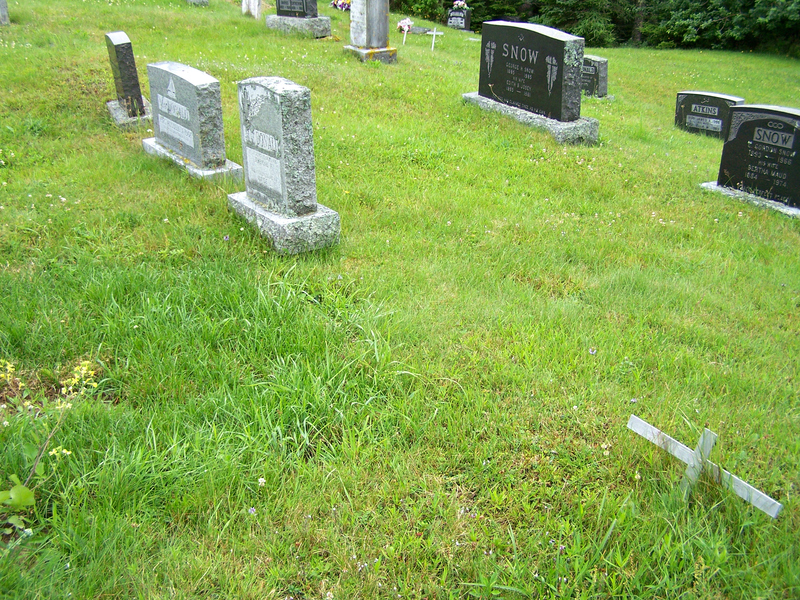 The steel cross is the right and Jeremiah F. MacDonald’s headstone is the first one on the left.